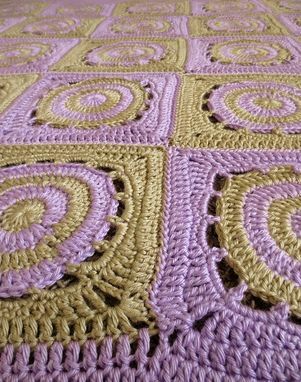 This beautiful baby blanket is a handmade crochet item perfect for a baby shower gift or birthday gift for a toddler girl. The size is generous, leaving plenty of room to grow into! Very soft and cozy, this blanket was made for a relaxing bedtime! ♥ Dimensions: Approx. 45" by 38"
♥ Delivery: Made to Order, 2-4 Weeks. 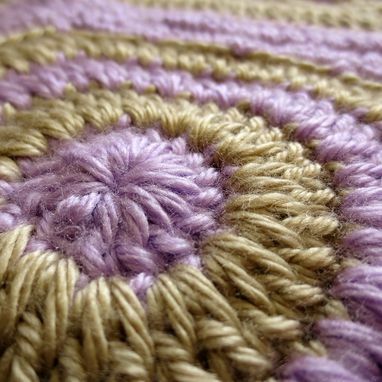 You will be amazed at the modern look of this blanket! 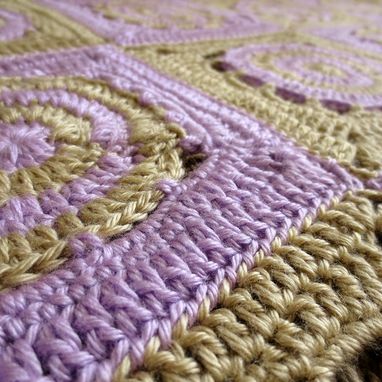 The purple and tan combine to create a drastic blocked effect, yet blend to make this blanket feel like it was fit for a baby angel. 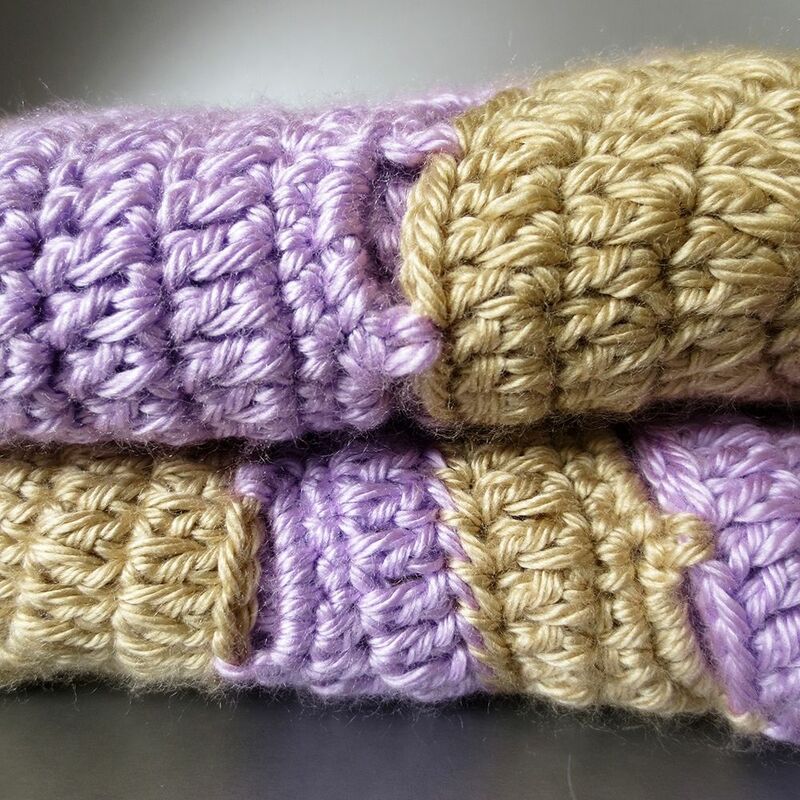 Let Purple Kiss Company impress you, all of our stitches are nicely tucked in and secured down. My work is made to last for years as little ones grow up to be full grown.